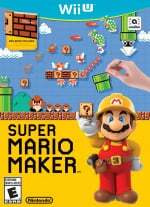 Nintendo continues to improve and enhance its biggest Wii U releases, and Super Mario Maker is now all set for its next major update on 22nd December; it'll add three new items and a neat feature in the course selection area. To start with the latter, each course entry will now display who completed it first and the world record time; this could add a new dynamic if gamers compete over speedruns on favoured courses. In terms of items, shaking specific items will now reveal a Bumper, a P Warp Door and, coolest of all, a Fire Koopa Clown Car. The latter should make side-scrolling shooter levels even better. In addition the Super Mario Maker Bookmark Web Portal will also go live on 22nd December; this is a website where you login with your Nintendo Network ID, browse the courses and then 'bookmark' them to play on your Wii U later. You can see trailers for both the update and the web portal below; are you looking forward to these? Alright! Looking forward to making some courses with these! So when are they going to do Slopes and desert/beach levels? These are great additions.P-warp doors especially. @Smash_kirby In due time, my friend!...Hopefully. The new items are cool especially the Fire Koopa Clown Car but added feature isn't all that neat. The Bumpers make me want to recreate Casino Night from Sonic 2. Where are the Christmas themed items and costume(s)? I wonder if the SSB team and the SMM team are trying to balance each other out? Now that's what I'm talking about. Forget about mystery mushroom costumes - this is what updates should look like. Slopes would have been nice, but it'll be fun to try out the new items. I don't think we will see slopes and hills because they wouldnt graphically translate to original SMB mode. @LetsGoChamp That goes for some other themes and items too and they did translate them to the original SMB. Cheeky, they deleted my YouTube comment about there still not being any slopes. Why is this game so amazing?! Can't wait for the new clown car. @RupeeClock It might've been deleted because slope can also be interpreted as an insult for Asians. Love these updates. I honestly didn't expect them from Super Mario Maker, but it makes perfect sense to support it this way! I'm definitely going to work on a couple new courses once I finish up this semester. @SuperWiiU I really, really doubt it. Slopes are one of the most requested things for Super Mario Maker. I guess sliding down slopes is fun, but I really don't see the major draw to it. It's a lot of work for a little gain. Obviously some feel it's important. So ready to have time for this game again. Man, I never thought they would add items that didn't even exist. It really opens up the possibilities of these updates! Can't wait for this and anything they have to propose. @RupeeClock They listened to fans by adding checkpoints and removing the daily item unlock, so hopefully we're also going to get slopes. In due time I guess. @LetsGoChamp But they could change them in that theme if they wanted. 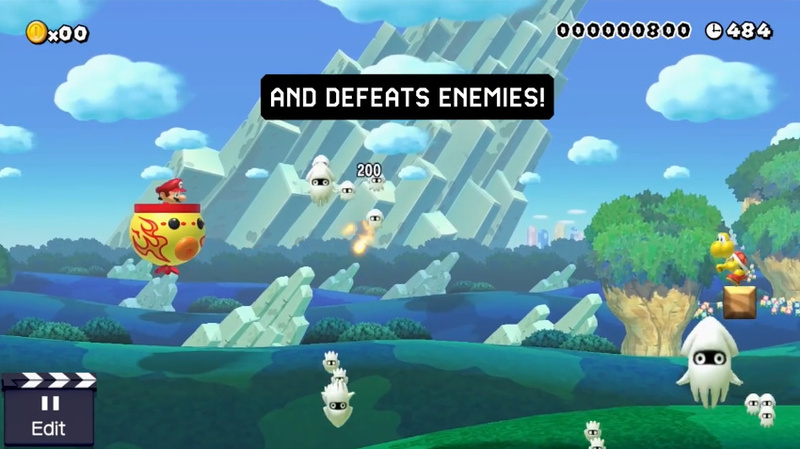 Each theme's flying item, for instance, is only accessible in that theme. They could simply give you slopes for three themes, then when you switch to Super Mario Bros., it converts into stairs of the same length/height. And that's only if they didn't want to create a slope design for that theme like they did with many items and enemies that never appeared in that game. Cool I will have to update my shooter levels! @aaronsullivan slopes could be fun, but it's purpose is little, like you say. What I would like to see is NSMB false walls with hidden rooms. Technically speaking, they've introduced a lot of things unique to Super Mario Maker. Wearing buzzy and spiny helmets for example. I wonder why they don't just build the search functionality from the site into the game, but it's still neat to browse courses from pc and smartphone. A play button when using the Wii U Browser is a neat addition too! @Smash_kirby I would like these updates to, as they are common throughout the series. Winter levels as well. I'd be willing to wager 12 units of currency that there will never be slopes. It'd be neat kicking a Koopa shell down them, or getting a sliding KO chain, but they go somewhat against the grain of the whole grid system that SMM is based on, and the 8-bit sprites might look awkward trying to run up and down them. Possibly, there could be 1:1 and 1:2 slope blocks taking up one and two grid spaces respectively, but certainly no sweeping curves. Anyway, this new update looks interesting. I really wasn't expecting it. Oh, and don't the P-Doors solve the mystery of the blue P-Switch in the Mercedes picture? EVERY PUZZLE HAS AN ANSWER, LUKE! Awesome and completely unexpected. Very happy about this! It keeps track of the best time?!?! YESYESYES!!! That's the best new feature in my opinion! Now there's actually good reason to replay courses once you've beat them! Now if they just add the best score as well it would be perfect! AWESOME!! This is great news! So glad I got Mario Maker; loving the constant support its getting from Nintendo. I hadn't even considered that P-warp doors were missing. Great addition. Perhaps in the future, where more stuff is added, I can perhaps enjoy this game again. Bumpers? Meh, I don't know what their actual potential may be. Fire Clown Cars? Actually cool, now we can do much more interesting shmup levels, given Fire Clown Cars can shoot horizontally, and Fire Mario was - other than a power-up that can easily be lost - only able to shoot downwards in a diagonal pattern. P Switch Doors? NOW WE'RE TALKING, given the amount of "ghost doors" in quite a bunch of official Mario levels, like the Ghost Houses in Mario World (also a way to go beyond the usual "enter a door to teleport to another part of the map", which is inevitable whenever a side-scrolling level goes beyond the length limit). I think I'll get more use out of the P Warp Door than the other two new features. I like making secret/alternate paths in my levels. Also the bookmark will make it easier for me to play levels that people post on this site and ones that don't get much or any plays. All in all, Awesome next week. So, are the P-switch doors going to be visible outlines until a switch is hit, or invisible? There's certainly a strategic difference, the way ghost houses use hidden doors wouldn't be possible if the surprise is spoiled by seeing the outline first. And I wonder if they have their own separate switches or if they use the same coin-box swapping switches. More interesting possiblities if the blue and orange switches are independent of each other, but the clip doesn't really say. It's probably time to stop asking for slopes, though. I don't think it's because of SMB compatibility, it's just most likely something that requires finer adjustment settings than the grid would allow. Most useful additions at this point are more themes and more enemy types. All is very nice! as for doors I would like for doors to lead into the second area of a level. The only thing needed now to make shooters excellent is the boomerang bros suit. These are totally new? I've never seen a bumper before. I really really want snow levels!! They'd be perfect for this time of year and they are my favourite on all games!! Snow/Desert update please Nintendo!! The fire clown car can break unbreakable blocks... oh yeah! Fire clown car looks kinda lame unless enemies can make use of it.P-doors are interesting, but don't add anything that some well placed blocs couldn't do. Bumpers however... that's something I could use. Good, they turned ? switches into P switches. Thank goodness. That was bugging the hell out of me. How can a comment about slopes be offensive to asians? @Dave24 Yeah, I'd like false walls too. They really need to give us three big star coins and a top the finish pole option. Otherwise there is no incentive to explore an entire level, only to finish it in whatever way possible. It is annoying. When most people talk about slopes, they probably mean rising stretches of land. But it's also a derogatory term towards Asians in English speaking countries, apparently connected to the "Slant eyes" term. I don't believe anyone actually uses this offensive term though. Whaddaya know, I learn more stuff about the English language every day. Looking again, the comment's there. I guess it just didn't show up right away, YouTube's odd like that. @aaronsullivan With how much people can make out of the given tools, it's no exaggeration to say that our minds could be blown by excellent use of slopes in SMM. Perhaps, however, slopes are destined for the NX. I need to get back into this game, I'll wait until the patch drops. People need to stop whining about slopes. They're minor, don't add much of anything, and aren't a big deal at all. It's like people whining about King K Rool in Smash. A bunch of hipsters who want something intentionally lame, unpopular and not useful just to hear themselves cry about not getting it. They pick the one thing that's they're not going to get, so they can have a reason to complain. Stop it. They're never putting it in. Deal with it. @inverse I don't think most of the people complaining vociferously are old enough to grow beards, and thus by definition cannot be hipsters. Apart from that, I think I more or less agree with you. Really hyped by this update, wasn't expecting it ! I have a question about the P-Doors, does someone know if you have a limit to use the doors like the traditional P-switch ? Or you just find the switch and the doors will always be there afterward ? The website is for me the big deal because now on reddit r/mariomaker this will be so easier to play a lot of courses ! I wonder if there will be a best time feature locally as well or is this purely for online levels? The addition of the web portal is what will make me buy this game. If I don't get it for Christmas, I'll definitely go spend some of my own money on this now. Cool that they are consistently updating but other than the P door, these are pretty lame additions in my opinion. Am I the only one to think that this is a very good game without any purpose? I'm thinking the challenge in adding slopes lies in not actually making them, but making sure EVERY object and combination of objects can interact with them. I bet they're working on slopes as we speak; play testing them to make sure nothing goes berserk when sliding down or being connected to them. @Alessandro_P I understand what you feel, after a while I was feeling pretty much the same. But then I joined a community around Mario Maker (reddit r/mariomaker) and this is so much fun. There is contest every week around a theme, you can share daily your levels or play others, players made entire game with worlds and so on. You can set multiple objectives with those communities, off course there is a lot of different communities as well on youtube. @Matbtz That's a great news for sure! But still, you had to find a Community OUTSIDE of the game (like the one you mentioned, or like the level uploader here on Nintendo Life): the original product lacks all of that, and for such a good tool it's a shame. The world record is a good start (we need highscore now) to give some substance to the game but I think we really need the special coins or a system like this. Now with the update and the bookmarks, I feel like searching a level in a community will be almost part of the game. You can search levels in a community or not and have easily a huge playlist of levels to play. I guess it is a good start but I agree with you the search system and the ranking system in the game is not very good. @Matbtz I forgot about special coins. Yeah, tehy are really, REALLY needed. Also, maybe something to unlock the level limit not tied to the star system.